International Postgraduate Scholarships are available to postgraduate degree applicants and are worth half the tuition fees (e.g. 50% discount on fees, for 2014/15 intake this amounts to between £2,900 and £5,400). The number of International Postgraduate Scholarships available annually is five. International Postgraduate Scholarships are awarded by the decision of the University Committee and are based on academic merit and social and community involvement. 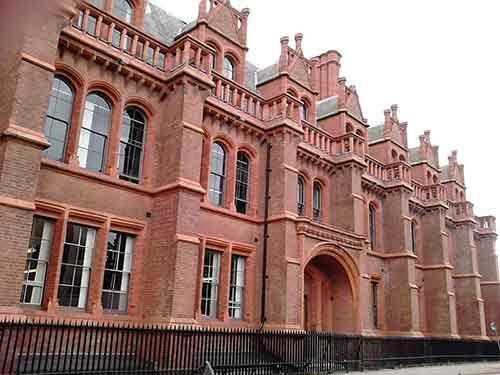 Applicants must hold an offer of admission for a Liverpool Hope postgraduate taught degree programme and complete the International Scholarship Application Form with attached documentation (eg copy of final degree certificate and academic reference). If you do not hold an offer of admission you are not eligible. Applications are welcome from international students who have achieved high results in their final degree classification and can demonstrate high academic achievement, active university, society and community involvement, and future aspirations to enhance the social and economic development of the applicant’s home country. Essential: Proof of High Academic achievement – Copy of degree certificate and supporting transcripts. Desirable: Evidence of active unversity, social and community involvement / volunteering. or applicants for the International Postgraduate Scholarship: the application form asks you to ‘please indicate why you think you should be considered for an International Postgraduate Scholarship and how you think this would benefit you in your programme of study’. This is the most important part of the application form and will be carefully judged by the University Committee. Other terms and conditions apply. Please note that the University is unable to provide feedback on unsuccessful scholarship applications.